Another big influencer on my decision to take The Declutter Academy online was the lovely messages I was getting from people in different corners of the world who had come across the specialised approach I had developed with “Declutter Therapy”. They were interested in learning to do what I do, and I really wanted to help. I was passionate about sharing everything I’d learned in my own personal and professional decluttering while honouring the depth of the approach I’d developed in the best way possible. The Declutter Academy is a very cutting-edge professional organizer course online training that teaches you all the necessary knowledge, skills and confidence to master your personal decluttering, help others on a casual or more formal basis, and build a rewarding career in the field of decluttering and organizing. It condenses down the best-practice principles from all the qualifications relevant to decluttering that I’ve undertaken over two decades (style consultancy, interior design, interior architecture, reiki, complementary modalities, neuro linguistic programming, life coaching, project management, etc.). It also merges all the incredible proven tools and techniques that I have myself developed over the years to enable my clients to “LET IT GO” at every level so their lives can truly transform in every area beyond their wardrobes and homes. In this way, with The Declutter Academy, students don’t have to spend all the time, energy and money doing all the study and research they need to be successful in this area, and it also helps them avoid the many expensive common mistakes and pitfalls of working in this field. The beauty of this online professional organizer course is that you can access it any time of the day or night, regardless of where you are in the world. Online works really well in that you don’t have to commit to making time or spending money to travel to meet a training group. It’s fully flexible to your requirements and your busy life and you can do it at your own pace and in your own time. In The Declutter Academy online, all course materials can be handily re-accessed as many times as the student likes, and what’s so important about this that information has a way of creating awareness and “sinking in” at a deeper level every time we are exposed to it, and you just don’t have that with live training. We also all learn very differently (our “Learning Styles”), and The Declutter Academy offers such a wide variety of online learning aids including videos, tutorials, voice recordings, MP3’s, practical hand-on cases studies and written exercises and really helpful, ready-made toolkit documents that you can print off and use in your work with yourself or your clients. Conveniently, all the The Declutter Academy online materials and content are accessed in a single, secure Members’ Area. The best training courses are, to me, those that accommodate real life. So, in this Professional Organizer Course Online it’s really not like being back in school where you are being forced to sweat it out and get things submitted, even when they haven’t come to a natural completion. Further to allowing for the ups and downs of the everyday, I really do believe in the ebb and flow of energy – there’s a time to take action and a time to observe or retreat – and I myself have had to come to learn and respect this in my own life. 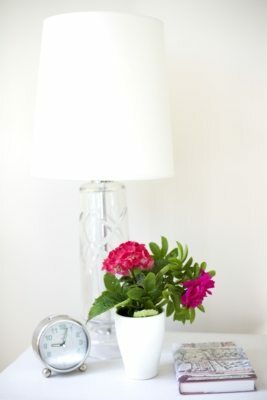 Being in the “right form” is essential for moving forward in the right way, and part of the philosophy of The Declutter Academy Professional Organizer Course Online is helping ourselves as well as our clients understand when taking action is inspired or forced, and the many consequences of that. This more intuitive approach has worked wonders for my clients and students over the years. To find out further details of this professional organizer course online please see certified professional organizer.